As of 24th October 2017, the internet just got more secure. 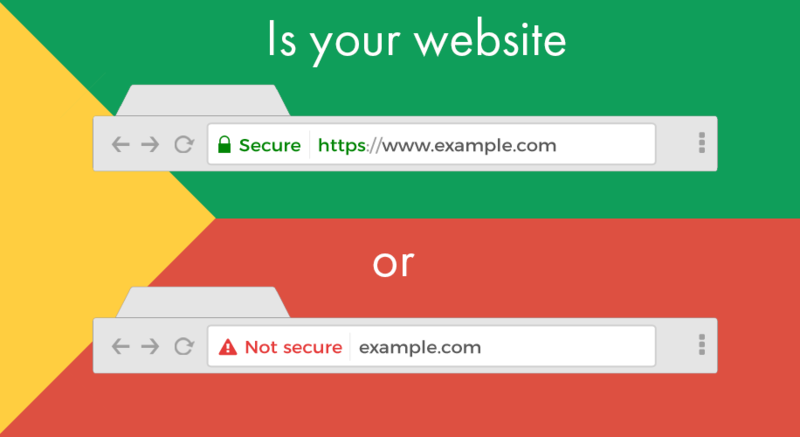 Is your website properly equipped with SSL? If not, web browsers may begin marking your site as NOT SECURE, or even DANGEROUS, recommending potential customers to stay away. Quikclicks is a trusted SSL reseller with access to wholesale rates on the world’s leading brands of SSL, such as GeoTrust, Symantec and Comodo. Contact us today for pricing and to schedule in your SSL installation. If a new customer reaches your site and sees a red notice saying Not secure – or even worse Dangerous – the likelihood of them making a purchase will quickly become zero, especially if your competitor’s site has a nice green Secure notice demonstrating their higher levels of security. 1. Chrome will give more active feedback if it detects that a website is not secure. 2. Google has given a slight rankings increase to websites that have better security. 3. Most importantly, if your security is lacking you may see a decrease in conversions on your site as users may be deterred by warnings in the browser. Previously, this level of security (a SSL Security Certificate) was only mandatory on Ecommerce websites that recorded customer Credit Card details. Now, it is recommended for all websites. If you have SSL on your site already (if your website address starts with HTTPS, and not HTTP), it’s possible you won’t need to make any changes (assuming your SSL is from a reputable organization and is up to date). The changes are aimed at websites that do not have SSL and that are collecting some kind of customer information (using forms, entering information, especially if a purchase is involved), but Google has said that henceforth, ALL websites using http will be marked as Not Secure. Where has this change come from? In an effort to combat the theft of identity, data, and passwords, Google – the search engine used by over 80% of web users – has announced changes to both its web browser Chrome, and the way its search engine works. Google has stated their intention in making this change is to make the internet safer. They want to be “sure that websites people access from Google are secure”. 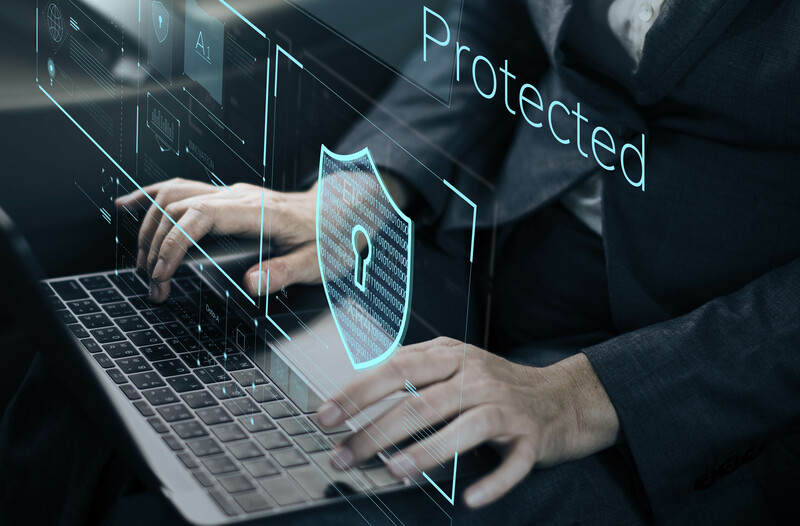 Security has always been important to every website owner, user and developer the world over however, this change is particularly significant. For the first time it puts the onus directly onto you, the website owner to make sure the security of your website is up to date. Basically what Google is saying is “keep up or get left behind”. From now on, Google’s Chrome web browser will join other browsers such as Mozilla Foundation’s Firefox in displaying extended security information if you collect visitor information. All three of the symbols can be clicked in the browser for additional information, but there is more than just this. The range of full page error messages will be expanded to include a page that may state “Your connection is not private”. In order to keep up with these developments, you need to ensure you have SSL (or Secure Sockets Layer) installed on your website. At a superficial level, this will change the beginning of your website address from http to https. However the ramifications of making this change go a lot deeper. 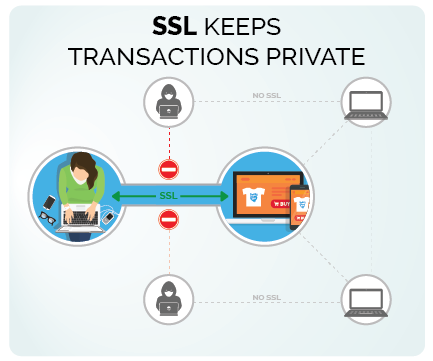 Basically SSL creates a secure encrypted ‘pipe’ for information to flow back and forth between the website and your computer. Sources such as malware and hackers cannot access the data as it is encrypted with unique keys only the website and your computer know. If you do not have SSL, there is very little to stop hackers and malware accessing your data. Quikclicks can purchase, install and verify a SSL Security Certificate on your website in a matter of hours. Quikclicks is a trusted SSL reseller. We have access to wholesale rates on the world’s leading brands of SSL, such as GeoTrust, Symantec and Comodo. Click here to order an SSL Certificate or Contact us today for additional information.